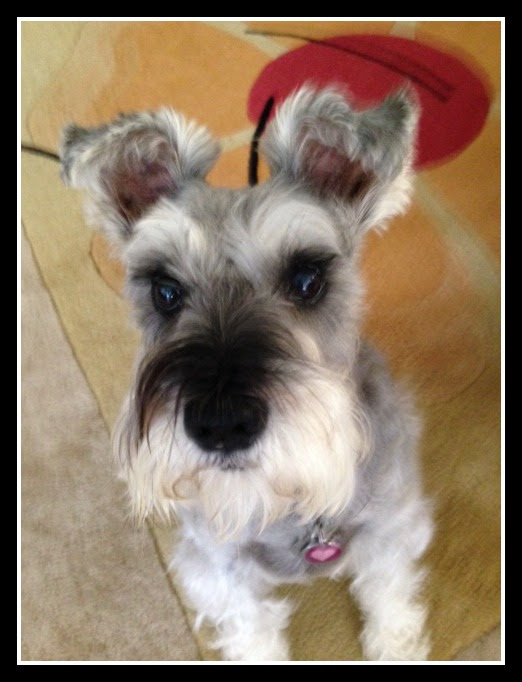 Meet the Baroness Elsa Von Doodle, one of my favorite dogs…..EVER. She has a royal lineage and expects to be treated accordingly. When her mom gets the salad spinner out, she comes a-runnin’! The baroness likes nothing better than sitting near the dinner table daintily munching her organic lettuce leaves! This entry was posted in Tallahassee Tails and tagged dog food, raw dog food diet, Tallahassee, Tallahassee pets on May 19, 2014 by Laura Rumage.